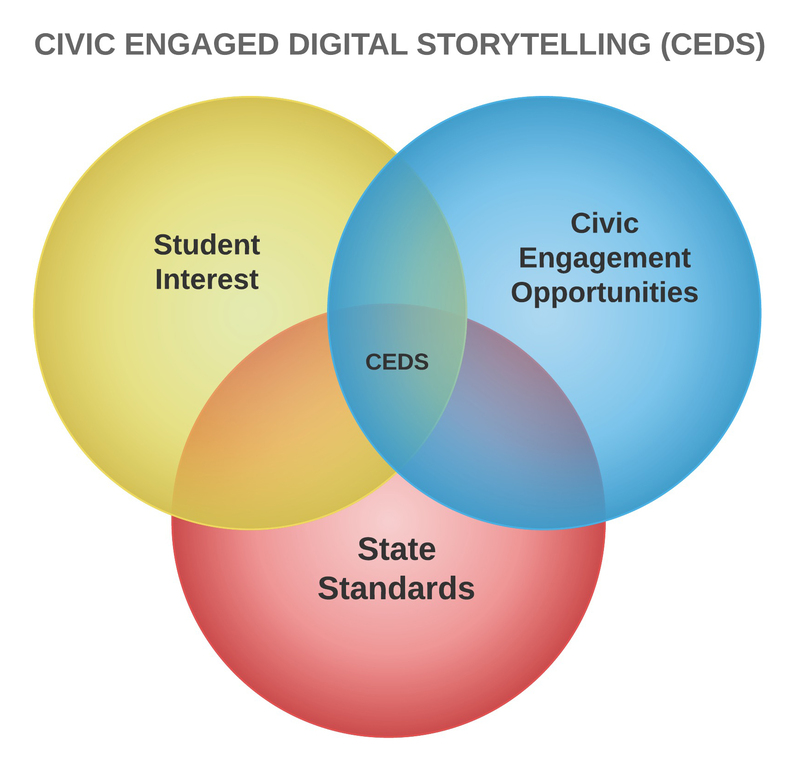 Civic Engaged Digit al Storytelling (CDES) is an approach to curriculum developed at Gordon Parks High School (GPHS) that brings together service-learning, state standards, local topics of social importance, and digital storytelling. This approach to curriculum is interdisciplinary, fosters student voice and prompts engagement by connecting school experience to an authentic audience via digital storytelling. Student feedback and performance results between 2008-present prompted me to explore for additional perspectives to further improve the process. 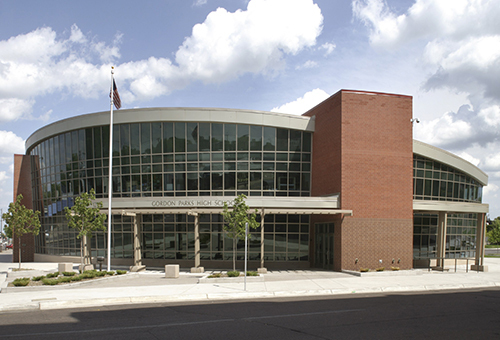 GPHS is an “Alternative” High School in St. Paul, Minnesota named after Gordon Parks. Dedicated in 2007, the school had no measurable curriculum or infrastructure to support CEDS, but staff embarked on a journey to build an alternative curriculum for students facing many of the same obstacles that Gordon Parks faced when he lived in St. Paul in the 1930s. GPHS students navigating systemic racism and classism, many who have become disconnected from school, are behind in credits, but despite all this, are seeking to graduate. Parks’ life provided blueprint for the curriculum we tried to design. Curriculum with a real life impact might be the only way to cut through the stresses experienced by some students. Our racial demographic are 52% African American, 0% Native American, 27% Asian, 11% Hispanic or Latino, 8% White. 89% of our students qualify for free and reduced lunch. Minnesota law, like in many other states, mandates that instruction for alternative schools be markedly different in comparison to the traditional models. At GPHS we’ve learned that, to achieve different results, massive adjustments are necessary that are incompatible with the current system. We had to change our grading processes, grading schedules, convert closets into editing suites and merge classes together in order to sustain even simple alternative strategies. In this sense, GPHS has begun something historic, painful, rewarding and internationally significant for educators who seek to re-design colonial-era curriculum. CEDS may end up being one of the catalysts for change or an approach to curriculum that replaces some of the old. In India, British colonial rule ended not long ago, but nearly all of India’s youth are still fully immersed in colonial-era education. In America we pride ourselves on the Revolutionary War, but all you need to do is check for “Pearson Inc” on your state’s budget to chart the flow of millions in testing dollars across the Atlantic to Downing Street, London, UK. This is our challenge in 2016, to deconstruct the impact of colonialized education. It’s imprint is written into the very “genome” of modern education. Our challenge is to create an alternative. In many cases, educators are their own worst enemies. Exceptional educators abound who teach differently and get great results in their classrooms despite the systemic flaws of the traditional, colonial system. And if an exceptional educator felt that I was painting in too broad of strokes, I ask them to reflect on what would happen…what would be the consequences to your job…if you stopped doing what worked for your students, and went back to teaching the “traditional” way? What would happen? Would you lose your job? Would there be any institutional consequences? If the answer is no, and the impact would only be personal or with deflated students, then exceptional teachers are just that, an exception to an otherwise broken system. Widespread volunteerism is not sustainable. There aren’t any simple solutions to this situation, but now is the time to gather ideas. Civic Engaged Digital Storytelling is one of them. Fortified by successful practices by community media empowerment models like those from Video Volunteers, we could further develop a vastly new approach to curriculum. CEDS at GPHS typically took the form of audio and photography projects led by teachers in the Social Sciences. We intentionally brought community topics and perspective into class as a way to make connections between the standards and localized learning. The Gordon Parks’ life is an example that one person can, through visual storytelling, empower communities toward impact and civic engagement. This guide will explore two examples of CEDS approaches to curriculum from Gordon Parks High School: Three Ring Gardens and Transitions: University Avenue. Civic engagement isn’t a new concept in education. However, the viability of the digital storytelling component to civic engagement has improved in recent years because of a proliferation of affordable Smartphone devices capable of high quality production, and a growing sense among educational researchers that this approach to curriculum could offer more benefit if further implemented across schools. 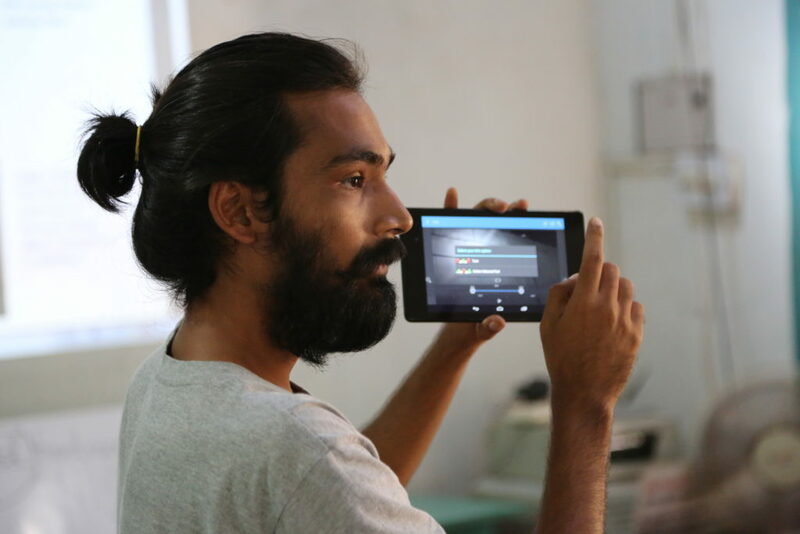 VV editor Ardendhu sharing advice on tablet-based video editing. VV trainers interweaving authentic writing and video editing. According to a Hindu Times, overall smartphone ownership in India was 6.2% in 2013, and has risen 20% in the last three years, especially amidst Millennials. As more and more youth carry smartphones to and from school, CEDS curriculum creates a mechanism for these devices to be used for active learning purposes outside of the school day. The smartphone helps apply and export learning outside the classroom to a broad audience, and provides a tool for students to apply learning while outside the classroom. Even in a scenario where broad usage and ownership fails to reach predictions, we will still live in an a technological environment where teachers will have access and can orchestrate access experiences for all students in a controlled classroom setting. VV training on tablet-based video production. Educators that integrate digital storytelling skills into instruction create learning opportunities that blend together numerous skills from each subject area: writing, research, outlining, communication skills, etc. The process of engaging with digital storytelling makes learning active. There are exemplar schools around the world have focused their curriculum on civic engagement. For example, the Riverside School in Ahmedabad, India, who ranks nationally at the top 10 test scores for the All India Secondary School Examination, has a pronounced civic engagement focus in all subject areas. Civic engagement and digital storytelling take advantage of 21st century technology tools. It differs from civic engaged or service-learning approaches to curriculum because it aims at a different product. CEDS aims at encouraging youth as civic engaged storytellers, synthesizing state standards via a community interaction process that results in empowerment. Educators could learn from community media organizations that focus on empowered, digitally savvy citizenry, share perspectives and stories from populations that are often overlooked through traditional mass media outlets. 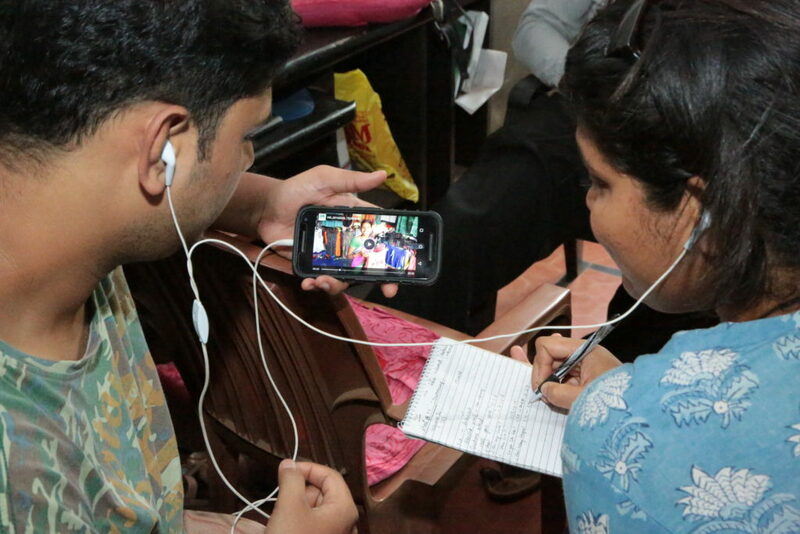 VV focuses on empowering the voices of marginalized communities, they have developed systems and curriculum to train storytellers about how to interact with local civic engagement topics, and share these stories via digital media. This creates an incredible resource for educators who seek to replicate the same process within their classrooms. 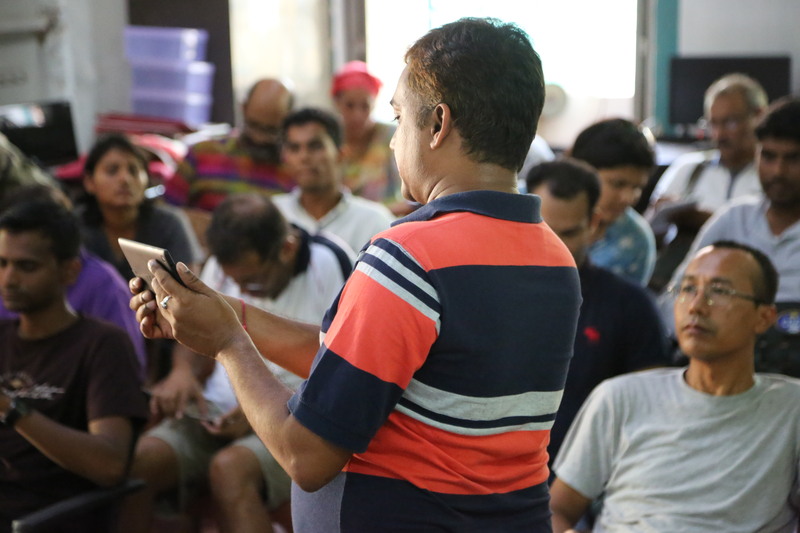 Community Media groups around the world, each with its own skills and adaptations, hold important skills and strategies for educators interested in integrating civic engaged digital storytelling approaches to curriculum. Community Media groups are, by design, aimed at connecting citizens with civic engaged storytelling skills and tools, and have developed curriculum to assist the process of bringing those stories to an audience. A powerful “intersection of interest” occurs with the products of CEDS classrooms. Smartphones connect students with a worldwide audience, but most of our classrooms don’t interact with this same broad communication. The teacher is frequently the only audience. CEDS class work has a digital shelf life after the class experience has been graded and is “in the books.” Students can share their school work via social media, and link this work to their resume. For most students, the process of sharing day to day experiences with a wide spectrum of social circles is what makes their life experience real. Education can tap into this process via CEDS, and help contribute new approaches to an eventual re-design of school curriculum.